With the increase in diesel injection pressures on engines and the sophistication of plant machinery, higher fuel and fluid cleanliness levels are a requirement in today’s equipment. We have partnered with Donaldson Filtration to provide bulk filtration systems that can reduce downtime, save on costly component replacement, and improve fuel economy. In short, Donaldson reduces your total cost of ownership. Below are a sample of some of the Donaldson products we offer, however; if you want to know more or gain a quote don't hesitate to contact us and speak to one of our filtration specialists. The Beta Ratio equals the ratio of the number of particles of a minimum given size upstream of the filter to the number of particles of the same size and larger found downstream. Simply put, the higher the Beta Ratio the higher the Capture Efficiency of the filter. 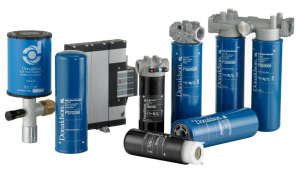 Petroleum Services are registered distributors of Donaldson Filtration products. We also have the skills and knowledge to help with ISO code and Beta Ratio deciphering for your diesel equipment in order to recommend the best product for your needs. We can also arrange installation if required. For more information contact us today. Regenerative TRAP Breathers strip moisture from incoming air, allowing only dry air to enter the tank. During the filling of the tank exhausting air picks up the moisture collected and "blows it back out", thereby regenerating the filter for longer element life. Ideal solution for Overhead, Portable & tanks less than 5000L. Contains all the necessary components to upgrade an existing fuel tank with modern filtration.